Hello everyone! I hope you are enjoying your Easter holiday! I'm pretty busy here with the kids but took time to head shopping yesterday to buy tulle to make a tutu maternity dress. I cant wait to get started but I still need some supply. Since I was right next to costco I decided to drop by and I stumble on a copy of Lady Midnight by Cassandra Clare!! So I had to buy it, of course! It's all I got this week, but it's still pretty amazing I think! Nice! Seeing a lot of this one around! Hope you enjoy it too! My STS will be up on Sunday! Stop by then if you can! Lady Midnight is one of my most anticipated reads for the year! I hope you enjoy it. have a great week. One book is still better than no books. :-) Any time there's a new book, it's a good week. My daughter has got my hooked on the series on tv so I am getting ready to start the books. Fun! I really need to catch up with Cassandra Clare's work. I have only read City of Bones at this point. I liked it so I am not sure why I haven't read the rest of her books. Enjoy! Lady Midnight by Cassandra Clare has such a beautiful cover. The whole series does. Hope you enjoy Lady Midnight! It was a tad too long for me, but I liked it. Happy Easter! 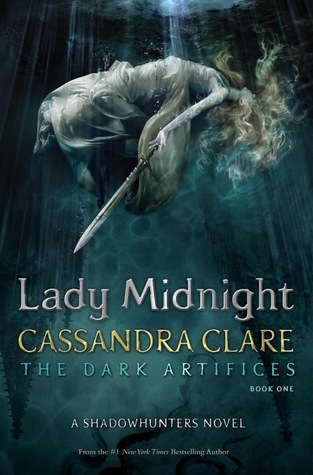 I love the cover of Lady Midnight! I haven't added it to my shelves yet but am planning on it :) We just moved all the way across America so it's been a bit hectic here lol! Agreed! I know people always say the books are better but they really are in this case - I keep hoping the TV show will get better. I've got my copy of Lady Midnight. I need to read it soon!